The Isla Center for the Arts is proud to announce the opening of the University of Guam Undergraduate Student Exhibition. The exhibit includes 68 works of art created by UOG undergraduate students enrolled in the various studio classes. 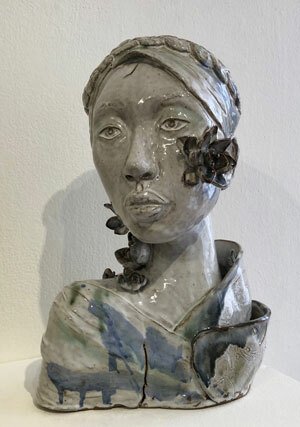 The pieces were selected by Fine Arts faculty and include ceramics, digital artwork, drawings, paintings, prints, and sculptures. The exhibit will be open from March 21–29. The student artists selected for the display are: Roybert Bautista, Sujin Bec, Nathaniel Kyle Belangue, Erika Cho, Victorino C. de la Pena, Mica Ebbat, Christel Ferrer, Anthony Gallego, Alecsandrew Gan, Dan Jardeleza, Sarah Johnson, Song He Jong, Dominique La Coste, Jordan Limtiaco, Tonya Dee McAuliffe McDaniel, Christianna Pacificar, Amberlyn Pangelinan, Bobbie Pitts, Sydney Prudente, and Joleen Unas. The Isla Center for the Arts at the University of Guam is open to the public throughout the week free of charge. It is located in House #15 of the Dean’s Circle on the University of Guam campus in Mangilao. Gallery hours are 10 a.m. – 5 p.m. from Monday – Friday and 10 a.m. – 2 p.m. on Saturdays, excluding holidays.